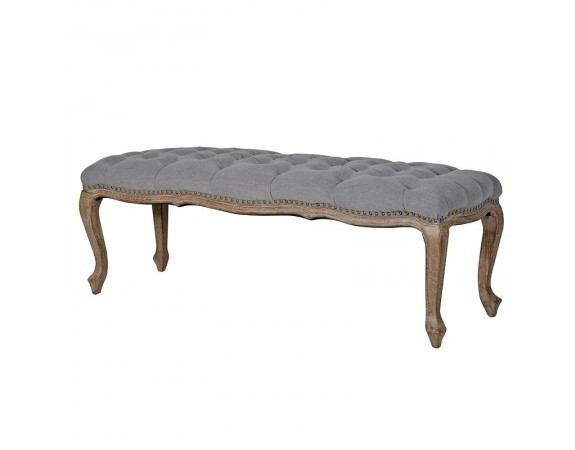 The hand carved body is exquisitely upholstered in a grey buttoned fabric; the curved and elegant border accentuates the dark and neutral tones of the solid wood frame. Carved from the finest timbers and boasting both intricate carved details and classical French style cabriole legs, this piece encompasses traditional elegance and can bring a vintage fashion into your bedroom that subtly blends with any interior. 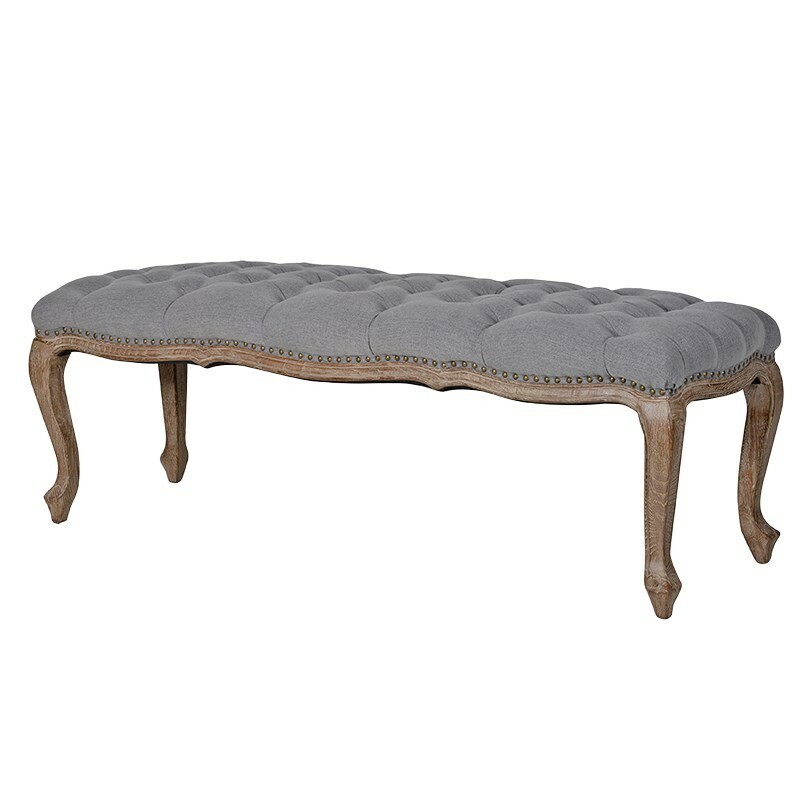 The fabric is elegantly buttoned to create a texture and varied appearance in the grey upholstery; this gives our button bench a contemporary edge and a delicate flair to bring out the beauty in this piece.